RMAT Application Form Dec 2018 can be filled online. 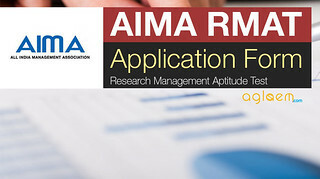 Application form of RMAT 2018 has been issued by the All India Management Association (AIMA) for PhD in Business Administration. In the AIMA online registration form, details such as personal particulars, academic details, experience detail, demand draft particulars have to be filled in correctly. Candidates who wish to appear in the Research Management Aptitude Test can fill the RMAT 2018 online registration form. Latest: RMAT Application Form Dec 2018 Dates has been revised. Scroll down to check. The online registration process for the admission in the PhD (Business Administration) has been started on the official website. Interested candidates can apply online from the official website of the AIMA. Candidates are advised to check the eligibility criteria before applying. Direct link to fill the online application form is also available on this page. Applicant must submit the form within the dates specified in the calendar of events. 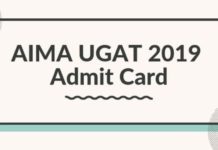 Click here for RMAT Application Form Dec 2018. 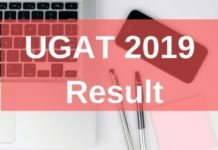 Click here for RMAT Dec 2018 Login. Online Payment: The candidates may also pay the application fee of Rs. 1500/- using credit/debit card. Demand Draft (DD) of Rs. 1500/- in favour of “All India Management Association” payable at New Delhi from any bank. If the payment option is selected as Netbanking or Debit/Credit Card and photographs and signatures uploaded, candidates are required to send the printout of the Online Application Form along with testimonials to the above-mentioned address so as to reach on or before the last date. Aspiring candidates who wish to appear in RMAT 2018, must follow the following steps to fill the online application form. If you are a first-time user create your login first. If you have any queries regarding RMAT Application Form, please ask in comments below.